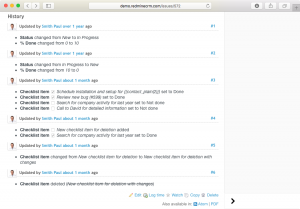 In a previous post I already spoke about Redmine Checklists plugin by RedmineCRM. 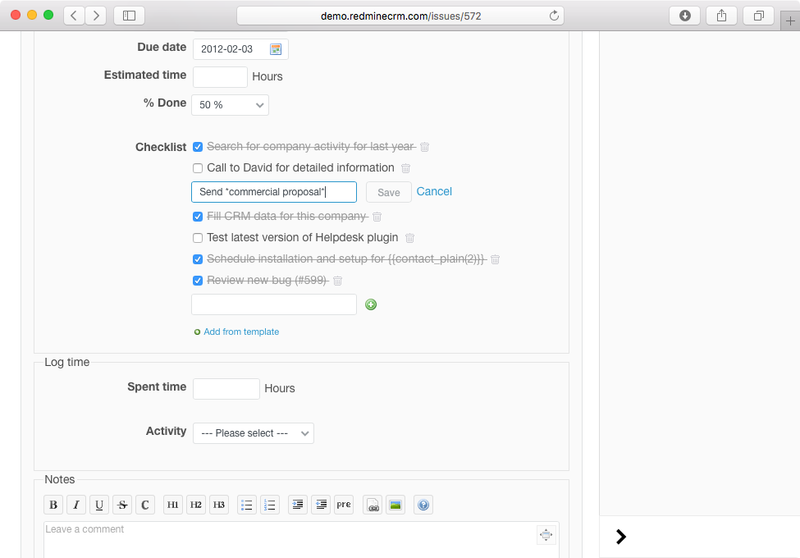 This plugin allows you to create “to dos” in a Redmine task. 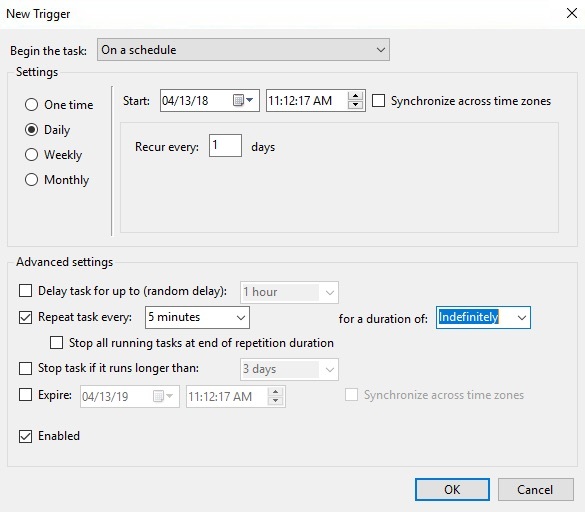 This functionality is recommended when we have to perform a task that is composed of several microtasks. 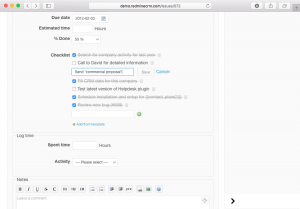 Recently, RedmineCRM has launched a “premium” plugin version with an interesting functionality: creating checklists templates. These templates can be defined in general or on a per project basis and allow that different users can use them when they create a new checklist, saving work and avoiding mistakes. After selecting the template and assigning it to the task, the checklist can be expanded or modified at will. You can also create template categories in order to better display the lists in the template selector. The plugin allows to discriminate access and actions to user profiles. 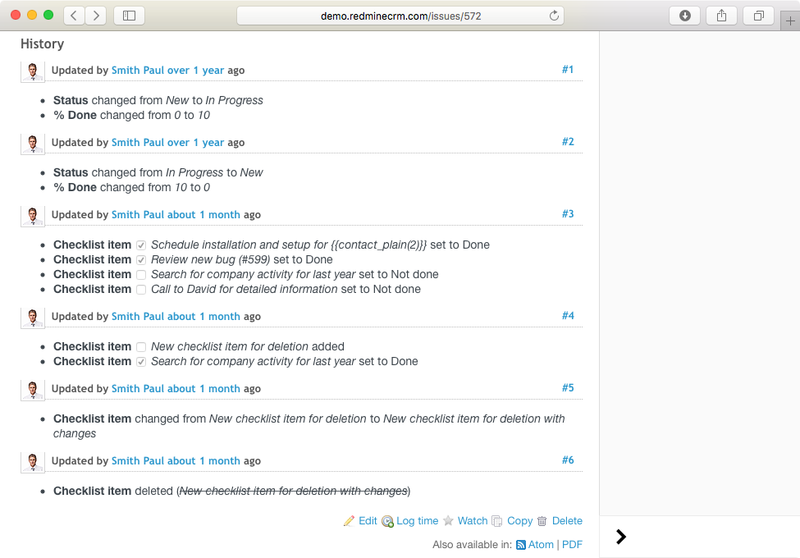 Specifically: view checklists, perform and edit checklists items and manage checklists items. This plugin is very useful in many scenarios. However I don’t recommend using checklists as a substitute for Redmine subtasks that have different execution terms that need to be controlled or different asignees. The checklists items cannot be assigned and cannot be given a specific due date. There is a plugin demo on RedmineCRM’s website. The “premium”version costs 49 $. 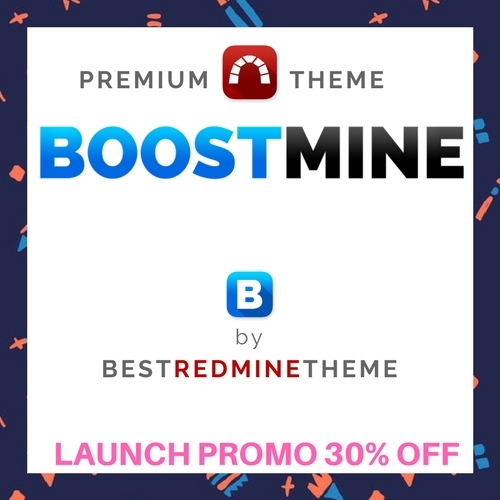 If you want to purchase the plugin with a discount, please click here.